UPDATED – WASHINGTON (CNS) — In two memos published Feb. 20, the Department of Homeland Security outlined guidelines that White House officials said would enhance enforcement of immigration laws inside the country as well as prevent further unauthorized immigration into the U.S. The memos by Department of Homeland Security Secretary John F. Kelly also called for state and local agencies to “assist in the enforcement of federal immigration law” and for hiring “additional border patrol agents, as well as “500 Air and Marine Agents/Officers.” The cost of implementing such programs, whether there’s enough funding and how Congress will be involved, was not discussed. While there have been two arrests under the new administration involving recipients of Deferred Action for Childhood Arrivals program, known as DACA, the policy was not mentioned in the new guidelines. The program grants a reprieve from deportation and allows a work permit for those who were brought as minors to the U.S. without legal permission. In the news briefing, Spicer said the guidelines were meant to prioritize for deportation anyone who was a criminal or posed a threat in some form, but he also said “laws are laws” and that anyone in the country who is here without permission is subject to removal at any time. In a Feb. 23 statement, Bishop Joe S. Vasquez of Austin, Texas, chairman of the U.S. bishops’ Committee on Migration, said that while public safety is important, the memos detailing the new guidelines “contain a number of provisions that, if implemented as written, will harm public safety rather than enhance it.” Bishop Vasquez added that it will break down “the trust that currently exists between many police departments and immigrant communities, and sow great fear in those communities,” if local enforcement is used to enforce federal immigration laws. Reports from major outlets such as The New York Times and The Washington Post said the administration in a conference call said it was seeking to calm fears among immigrant communities by saying only those who “pose a threat or have committed a crime” need to worry about being priorities. But during the news briefing, when asked about a woman who was deported despite having no major criminal convictions, Spicer said he wouldn’t comment on specific cases. 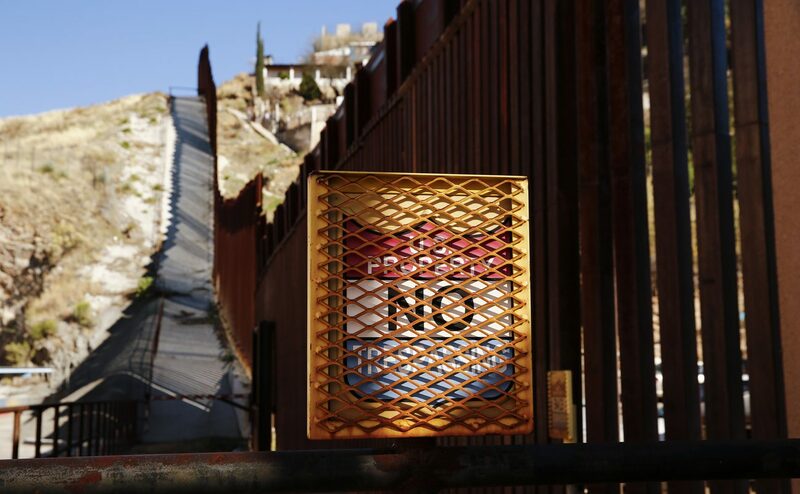 After drafts of memos leaked out in mid-February proposing use of the National Guard in immigration operations, The Associated Press reported that the New Mexico’s Catholic bishops called the ideas in the memos “a declaration of some form of war.” AP provided documents to back up the claim but the White House denied it and the final guidelines made no mention of the National Guard. Catholic leaders have been urging dignity and respect for migrants and have acknowledged the rampant fear among communities.